"They take aim at the law abiding citizen, instead of the criminal"
-Sir Mixalot, "No Holds Barred"
The government trusted me with a M-48 tank and assorted small arms when it claimed to have need of my services. It trusts common Americans with all kinds of arms when it wants them to go kill foreigners somewhere — usually for the financial benefit of some corporations. But when the men and women take off their uniforms and return to their homes and assume responsibility for their own and their families’ safety, suddenly the politicians don’t trust them to own a gun. This is pure elitism. 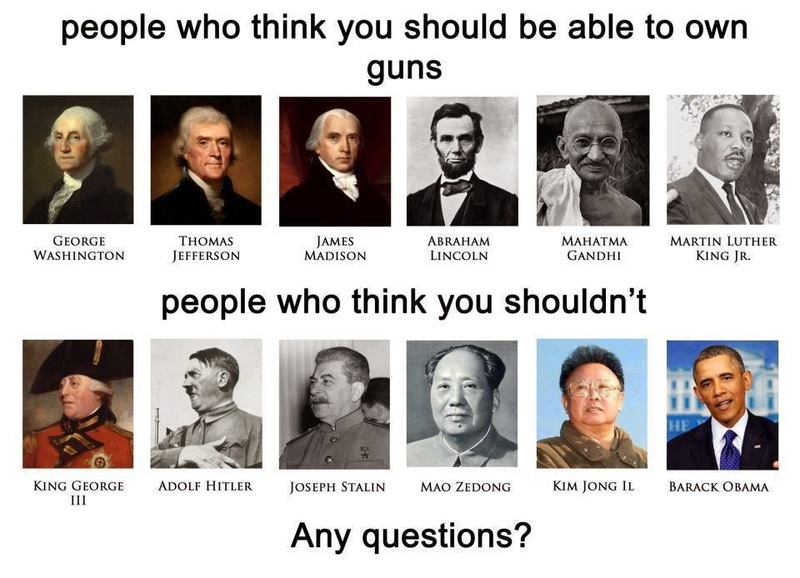 … Gun control is not about guns or crime. It is about an elite that fears and despises the common people. While a bit cynical about war and the eeevil corporation, he has a point. Its the same argument that was used to push the voting age down to 18, and it is the same argument used for lowering the drinking age to 18. If I can be trusted to die for my country, why can't I be trusted to do these things? Now, obviously a soldier is under close scrutiny and careful discipline. They are taught how to use a weapon, when to use it, and given orders. Yet even in this case, now, soldiers can't even carry a weapon while on base. Disarmed and stripped of the ability to fight back if, say, a lone gunman stalks them as in Fort Hood or the Washington Navy Yard shooter, they are not even trusted as soldiers any more.And there are arguments for why a 18 year old soldier ought to be able to shoot to kill but not drink. Its one thing to be under careful direct supervision and rigid discipline to act at 18 and another to be free in the civilian world. But those arguments for lowering the voting and drinking age both have a pretty impressive level of resonance, don't they? Trusting someone to defend the nation's freedom at the cost of their own bodies and lives surely shows that we can trust someone that age with greater responsibility. Yet advocates of gun control such as those the courts have to keep shooting down over and over in Washington DC don't even make that distinction. At least some probably figure anyone who served in the military is a sub-IQ dropout as John Kerry suggested in the 2004 presidential campaign, or that a soldier back in civilian life is one flashback away from shooting up a shopping mall. But they don't even think about soldiers being perhaps allowed an exemption from gun control. They want no one to have weapons to defend themselves with. And while the proposals are inevitably presented with the best possible wrappings and bows, inside the package is an innate distrust of the American public, a presumption that right policies can make utopia by taking away bad influences from innately good people, and a need to control.